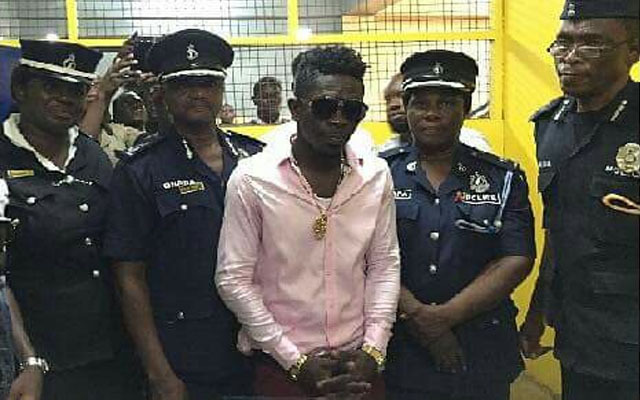 Shatta Wale In Trouble With Police Over Public Shooting Stunt…. SCROLL DOWN TO WATCH VIDEO OF ARRESTS. Shatta Wale, in a viral video that surfaced online on Tuesday, could be seen firing warning shots which were alleged to be directed at Nigerian artistes including Wizkid, Patoranking and Timaya. Veteran hiplife artiste Tic Tac called for the arrest of Shatta Wale for publicly firing a gun into the air.